Most of us who own a website or a fan page be it on Facebook, Twitter, Google Plus or any other brand page at any social media network want to increase our followers as many as we can. But getting people to follow you or your page is not easy. 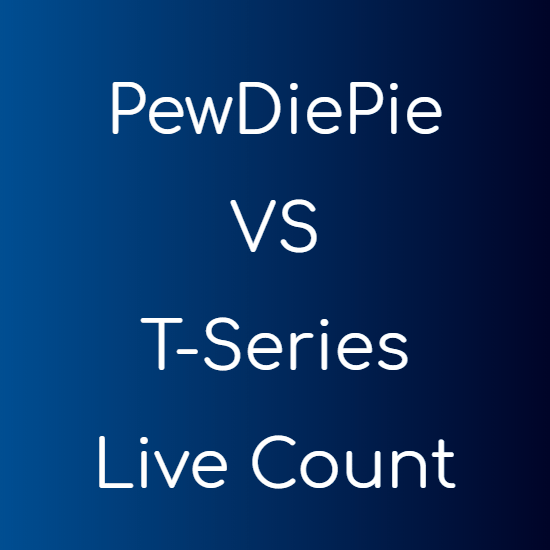 You need to have some real unique and quality content to build audience. So we have a nice service called AddMeFast which works on a simple basis of give and take. You follow others and others will follow you back. You just need to register a free account at AddMeFast and you are ready to increase your Facebook likes and give a boost to all your social networks. Visit AddMeFast and register an account. 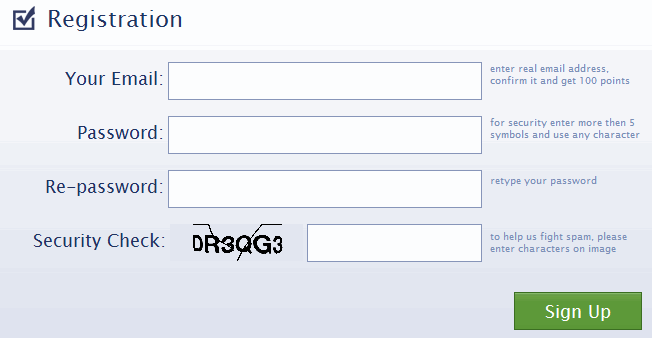 Below is a sample screenshot which shows you all the details you require to register at AddMeFast. After successful registration you can add all your social networks and increase your social rankings and site traffic. 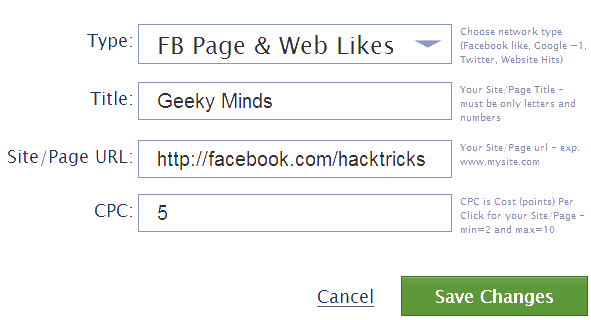 Below is a screenshot that shows how I added my Facebook Fan Page to addmefast to increase its likes. You will be wondering what the “CPC” is. The CPC is abbreviation for “Cost Per Click”. This is the number of points that you are willing to give for every like or follower you get. But to get yourself followed you need to get points. These points are the AddMeFast credits that you get for free when you follow someone or like their content and you spend these credits in order to get yourself followed. You earn 100 points in every 24 hours without doing anything (Now they are giving 50 points, but will again start giving 100 points soon). This is known as “Daily Bonus”. Also you can buy coins if you do not wish to like others content. Below is a screenshot that shows you all the options for getting free points. 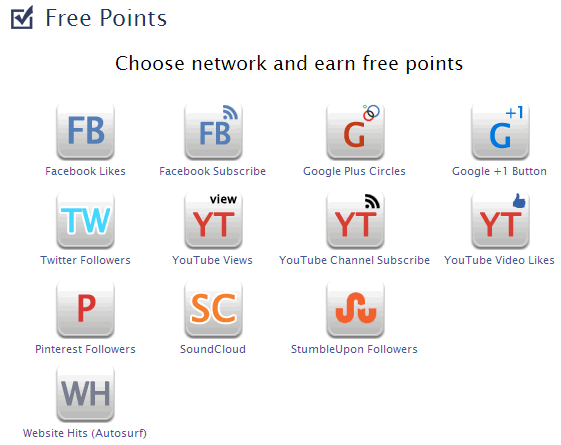 You can choose any service and follow or like the content to earn free points. Not only by liking others content, you can also get 200 free points for every signup at AddMeFast with your referral link. This is a nice way to increase your web traffic and increase your social media presence. The quality of the people who will follow you through this service may not be that good, but it will surely help in getting more quality likes because people prefer to like and follow the content that is followed by many. So what are you waiting for, join AddMeFast and tell us your experience about the service. Also if you are only interested in Twitter followers, then you can also try Twiends to get tons of followers. Also leave your comments if you have any other service which is better then AddMeFast.